Hampi, with its breathtaking scenery and extravagant architecture, has not only inspired travelers and historians. But it has also been the muse for many authors and literary laureates. While many of these writers have written about Hampi’s architectural marvels, its history and the scope of travel, there have been few that have inspired fiction as well. 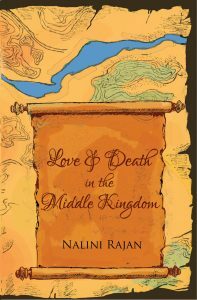 A fantastic story of love and friendship about a 16th century courtier of Vijaynagara, a Portuguese trader and a Persian traveller, set in the backdrop of Hampi, “Love and Death in the middle Kingdom” is not only an interesting read, but is also a wonderful documentation of the rich culture and heritage of Vijaynagara (modern day Hampi). In conversation with Devyani Nighoskar, writer at GoUNESCO, Nalini Rajan, the celebrated author of this book tells us about her motivation and experiences while writing this novel. Why did you choose Hampi as the backdrop for your book? 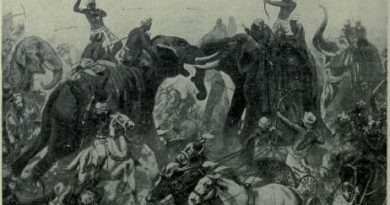 By sheer accident, I came across an article by the historian, Phillip Wagoner, where he talks about the similarities between 12th century Sicily and 16th century Vijayanagara based in modern-day Hampi. Around the same time, I had just read Barry Unsworth‘s ‘The ruby in her navel’ – a novel about 12th century Sicily. It was when I decided to write a novel about 16th century Hampi. Your book explores many aspects of life such as homosexuality; inter-religious interactions, and the switch between the past and the present. 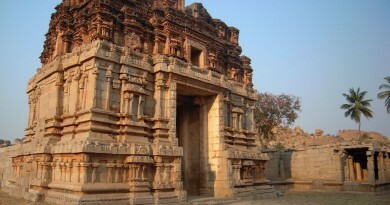 How have all these aspects contributed towards bringing out the culture, history and heritage of Vijaynagara and Hampi? A lot of people have focused on the so-called homosexuality theme in the novel. I would like to say that some young aristocratic males in the past experimented with various forms of sexuality, and that was not necessarily frowned upon. The bigger problem in my novel was the love and friendship between the ‘insider’, Devadatta, and the ‘outsider’, Farjad. And this same insider-outsider theme is prevalent in our own times, as is seen in the novel, especially in the realm of community and religion. I tried to imagine what would happen in the 16th century if a Vijayanagara courtier struck a friendship with foreigners. Sadly, I knew that the story would end in disaster for everyone concerned. There are two parallel stories in your book, one in the 16th century Vijaynagara Empire whereas the other in the modern day town of Honnavar. How difficult was it for you to bring out the difference between the cultures of Karnataka in these two time periods? The Vijayanagara period was relatively easy. It involved intensive secondary research for a period of six months or so. For the modern period, I spent a week in Hampi, and another two weeks travelling from Udipiup to Gokarna. So the descriptions in the modern period are based on my experiences. A modern day story on Hampi would be about these young men and women who overstay their welcome in the Hampi, merely to avoid the compulsory army service in their country. Your book, Love and Death in the Middle Kingdom also has elaborate and lovely descriptions of the local food and cuisine. What kind of research did you do to find out about the taste and style of certain Kannadika recipes? According to you, what role has food played in enhancing the culture of the place? My mother’s family used to live in the old Mysore state, and many family members are fluent in Kannada, and very familiar with the cuisine of the state. So I had a bit of a head start, I suppose. Furthermore, my oldest sister is married to a Konkani speaker from the western coast of Karnataka. During my travels between Udipi and Gokarna, I spent a lot of time in places like Kundapur and Honnavar. Of course, I had to do some research about eating habits in the past – from 16th century travellers’ accounts, and even from blogs. Food also plays a huge part in Indian culture, where your caste and your community are determined by what you eat and what you don’t eat, whether you are a ‘pure’ vegetarian dependent on the products of the cow, or you are a beef eater. There is a politics of food in every culture – more so in Hindu culture. 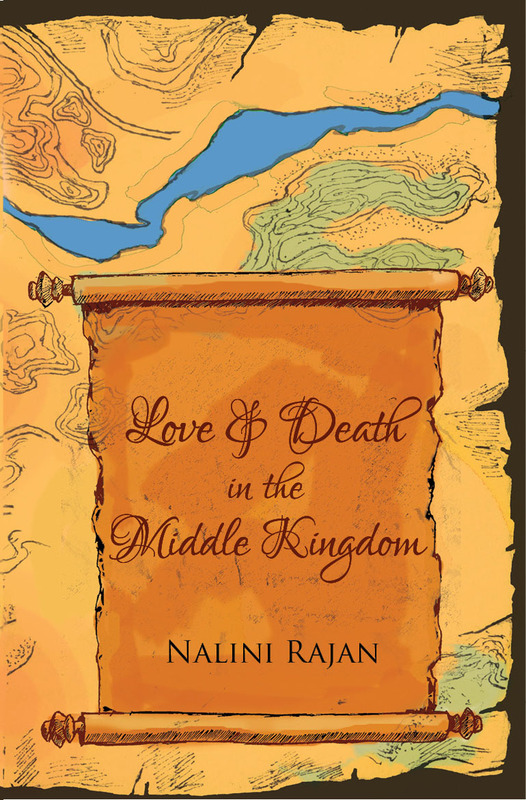 The book talks about the friendship between Devdutt, a courtier from Vijaynagara, a Persian Traveller and a Portuguese trader which makes it evident that the kingdom indulged in a lot of cross border trade. What are some of the heaviest influences of western countries, especially those of the Portuguese on the culture and the architecture of Vijaynagara? Can these influences still be observed in the present day Hampi? Yes, it is true that the Vijayanagara kingdom, in its heyday, was a buzzing center of international trade and commerce. Contemporary travellers’ accounts are full of wonder and awe at the sophistication of a city like Hampi. The Portuguese were responsible for bringing the finest Arabian horses to the kingdom, among other things. If you look at the sides of the grand Mahanavamiplatform in Hampi, you will see engraved images of several foreigners, like the Portuguese horse-traders, the Turkic archers, and so on. 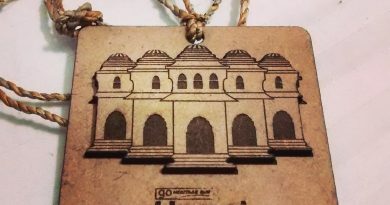 In terms of architecture, Hampi is a treasure-house of various styles, like the Tamil vimana and gopura style, the Islamic arch and dome style, and the indigenous Deccani style. How do you think literature, especially works of fiction can contribute towards documenting and promoting the heritage and culture of a particular place? I mentioned the late novelist, Barry Unsworth, earlier. In fact, many of his novels are historical. Another wonderful writer is Hilary Mantel, whose novels on the Tudor period both have deservedly won Booker prizes. The past always has lessons for the present, and what better way of showcasing these – than through the medium of the narrative form. If you had to write about Modern Day Hampi, what angle or perspective would you give to your story? Ironically, Hampi continues to be an international hub, given the huge number of foreigners present – some of whom reside there for months. You will find the largest number of Israelis in Hampi – perhaps barring places like Goa and Kathmandu in the subcontinent. Inevitably, then, many signs in hotels and restaurants and shops are in Hebrew. If I wanted to write about modern Hampi, I am sure I could find many stories among these young men and women who overstay their welcome in the Hampi, merely to avoid the compulsory army service in their country. 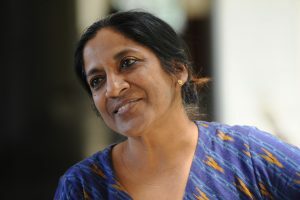 Nalini Rajan is Dean of Studies and Professor, Asian College of Journalism, Chennai. She has a doctorate in Social Communication from the Catholic University of Louvain, Belgium.Her first novel, The Pangolin’s Tale, was listed for the 2007 Man Asian Literary Prize. 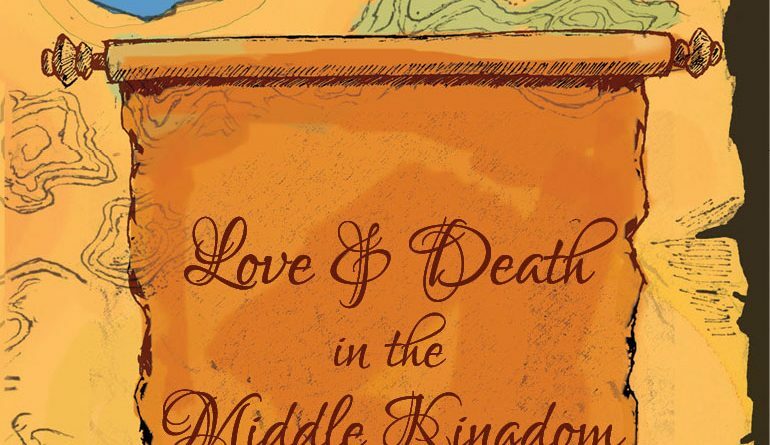 Love and Death in the Middle Kingdom is her third work of fiction. Are you planning a visit to Hampi? Wear you Hampi love with the excellent travel friendly (quick dry – so you stay cool!) tshirts at our store – link.